Now, I still have to block but you can believe that I wore this beauty as soon as it was finished. In my defense as well, blocking has not yet been completed because lace blocking wires were recommended to get the proper shape and I did not have any! So while I’m waiting for these blocking wires to arrive this scarf is mine to wear! **note that pattern is actually designed for Loft, I substituted and used Shelter instead. Project Notes: Because I substituted yarns, I actually ended up with more yarn than I needed. Now while my math (worked out with a very helpful employee at Purl Soho) was correctly calculated, out of the 8 skeins purchased, I only needed 6! 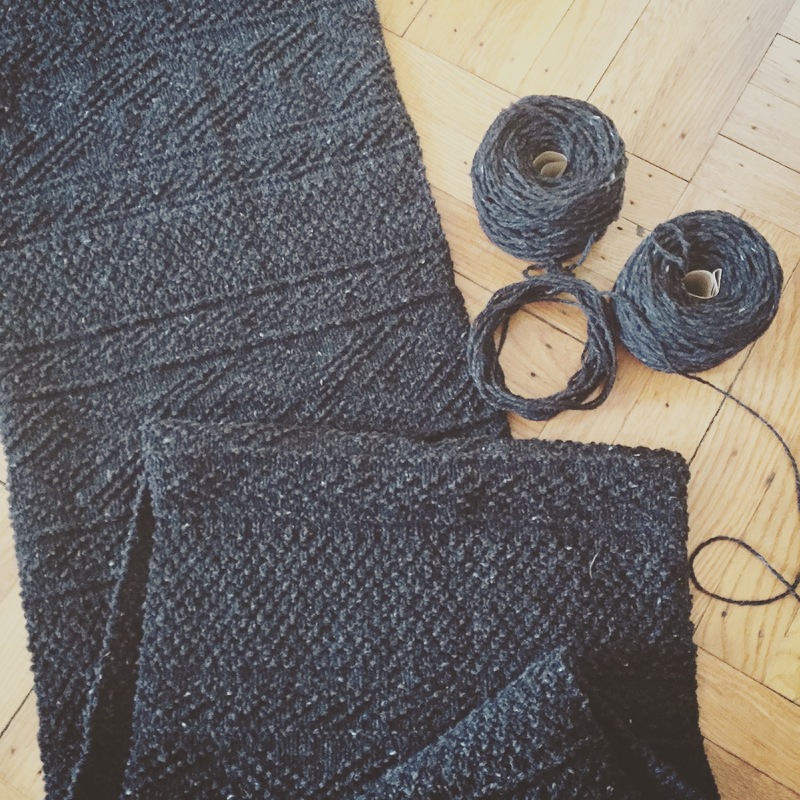 I would have more than likely used 6 1/2 skeins however when I was 1/3 of the way through the project I realized I was shorting my moss stitch sections by 4 rows (oops!- really, I CAN count though….). This worked to my advantage as I was able to adjust the remaining pattern to accommodate the mistake (which you would never have know about until now….) The remaining yarn is being used up as a little stockinette/ jersey roll beanie (more to come on this!) which is something else I have wanted to make for myself so really this was a win/win.